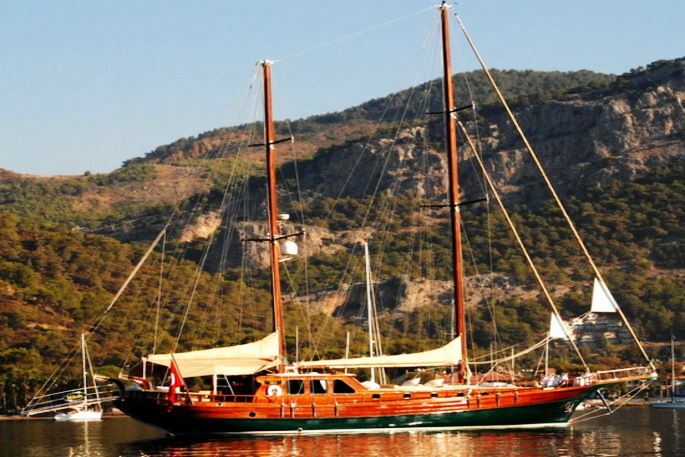 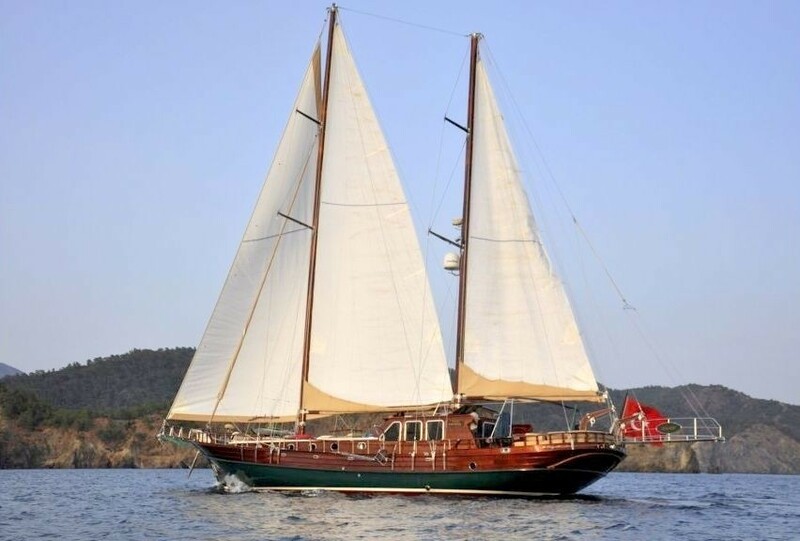 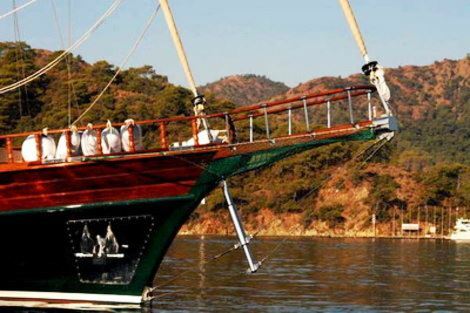 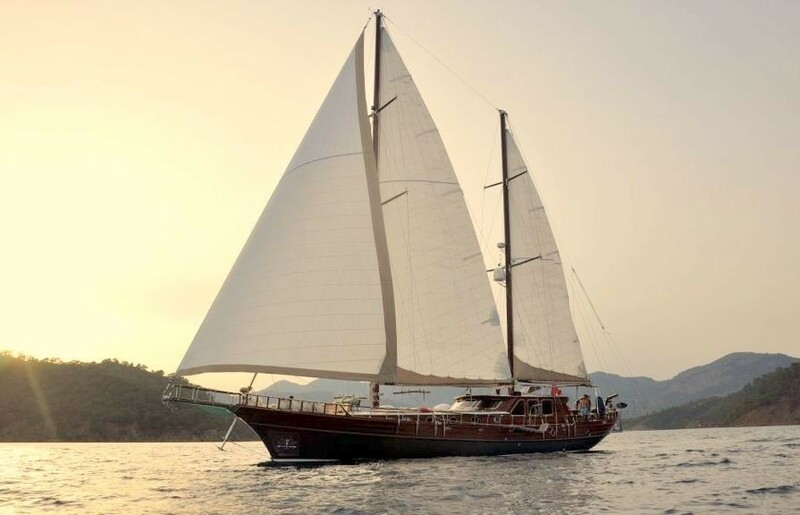 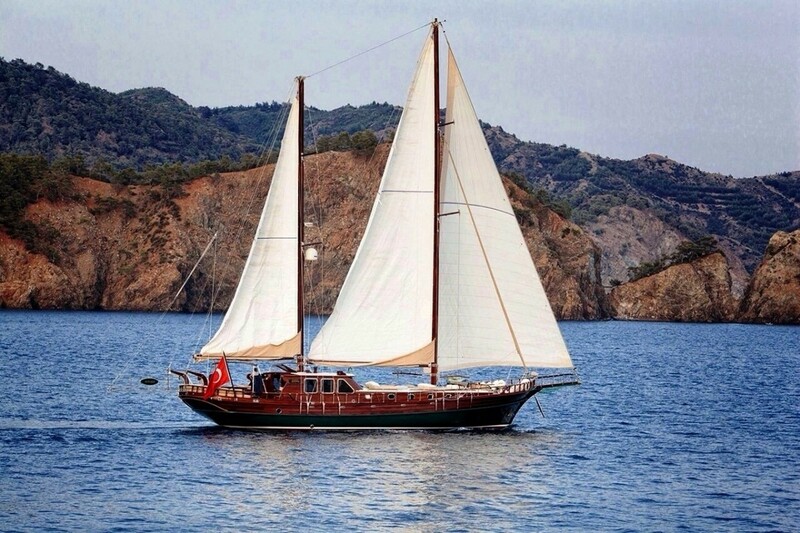 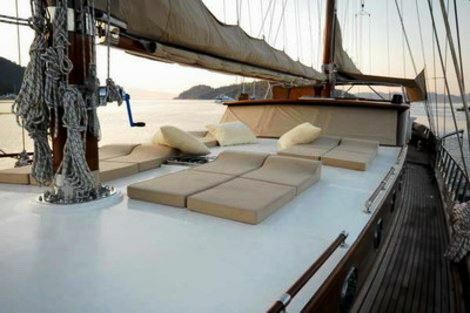 Sailing Gulet MIKADO has a warm contemporary interior with a traditional flair and modern amenities. 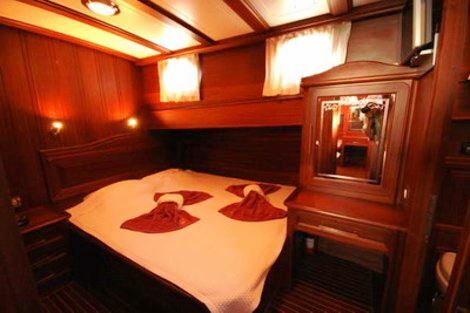 The salon is in a raised cabin house and boasts cream leather soft furnishings, an ample settee, formal dining table, plus audio and visual entertainment. Guest accommodation is forward of the salon, on the lower deck. 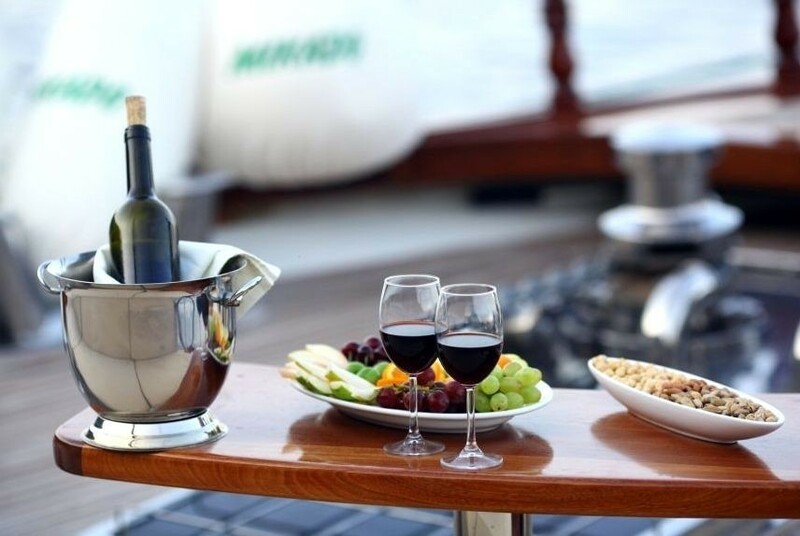 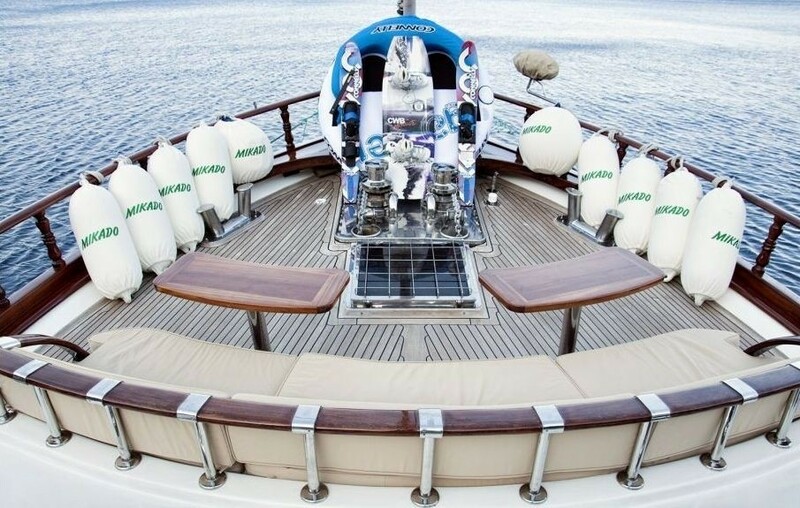 Above decks, yacht MIKADO has plenty to offer her guests, from a shaded alfresco dining option on the aft deck, to ample sunpads on the foredeck. 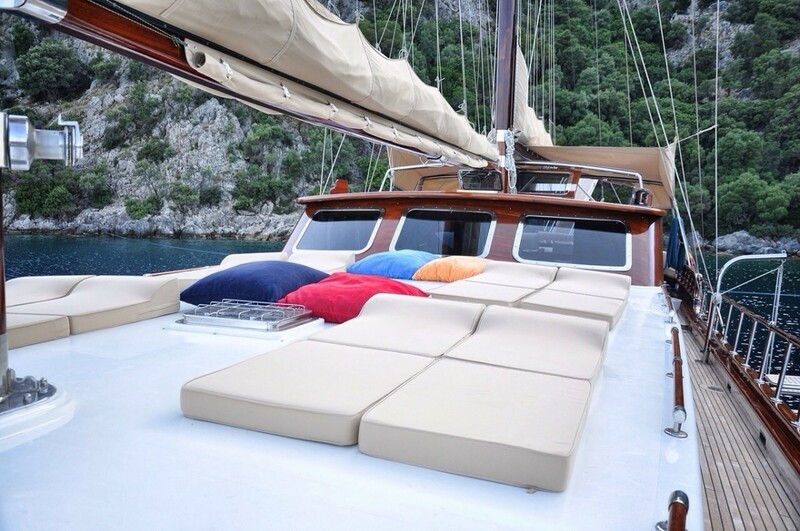 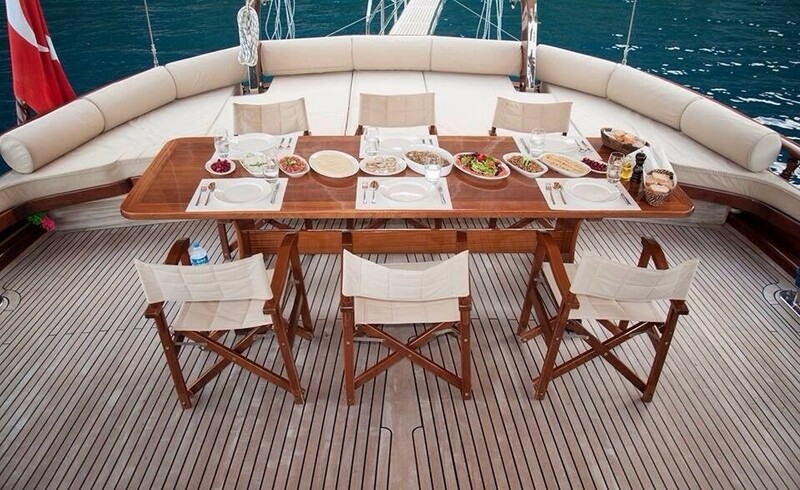 The aft deck has a full beam aft sunpad, ideal for lounging by day or night and a shaded dining table, easily seating all 8 guests. 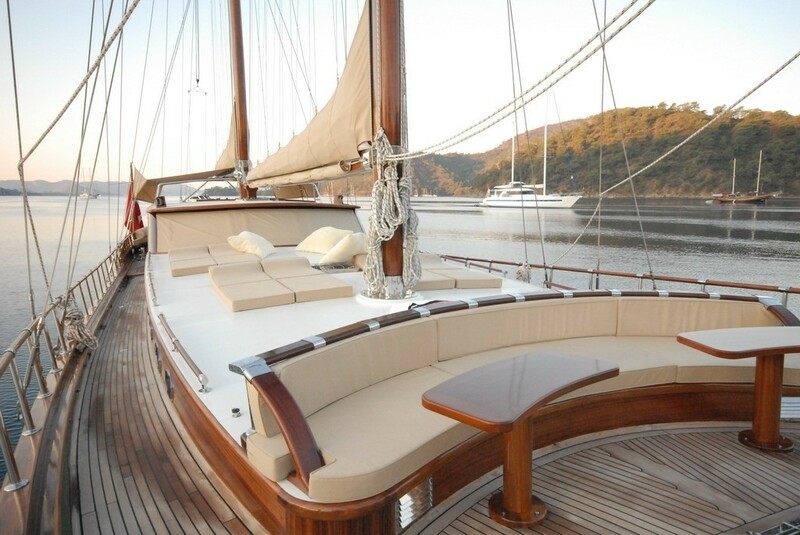 The foredeck boasts a large sunning area with comfortable sunpads, followed by a generous foredeck, complete with built in seating and small tables, perfect for an evening aperitif. 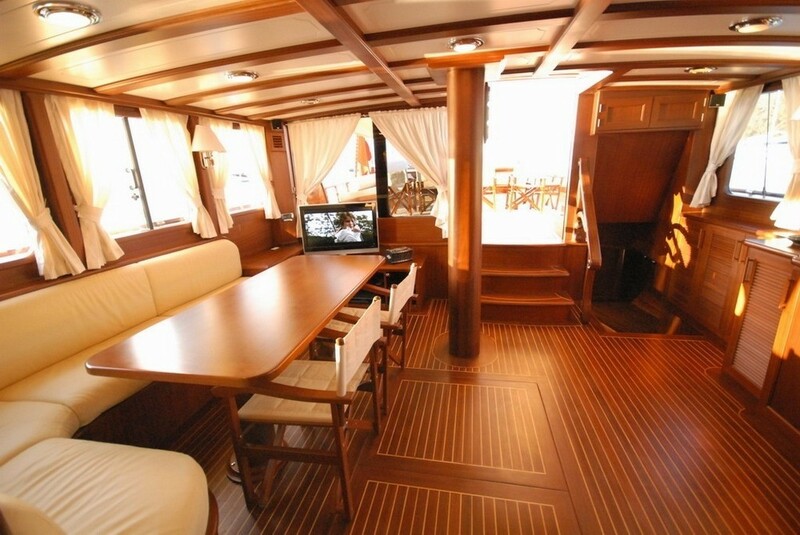 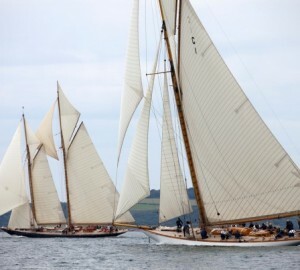 S/Y MIKADO is powered by 2 x Iveco 280hp engines when not under sail, capable of speeds of 11 – 13 knots. 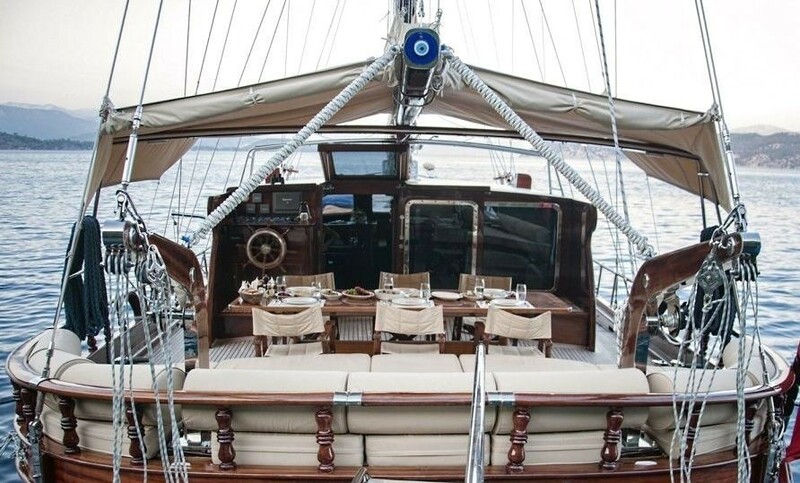 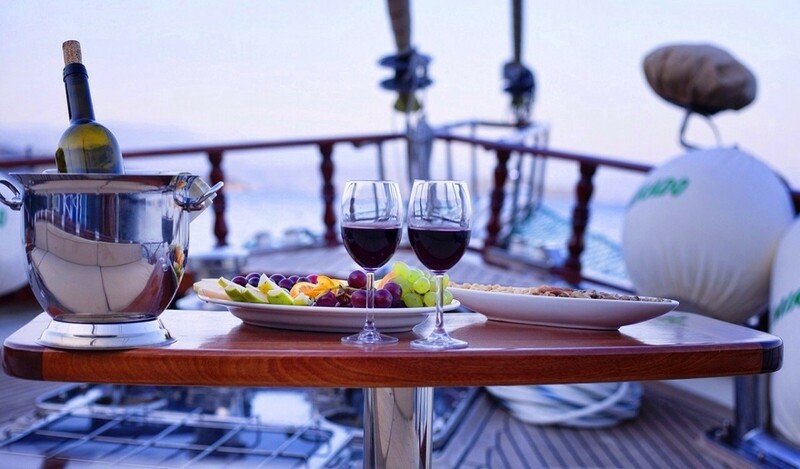 The yacht is the perfect choice for families and friends alike, she offers a professional crew of 3 to ensure a relaxing and memorable sailing experience. 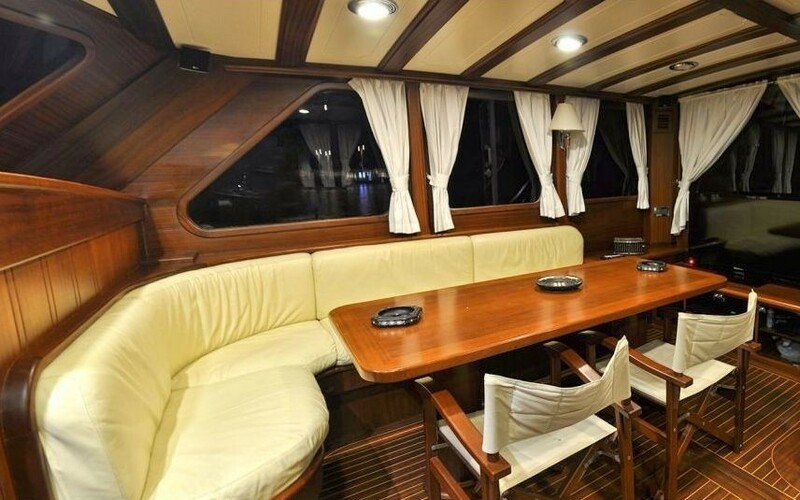 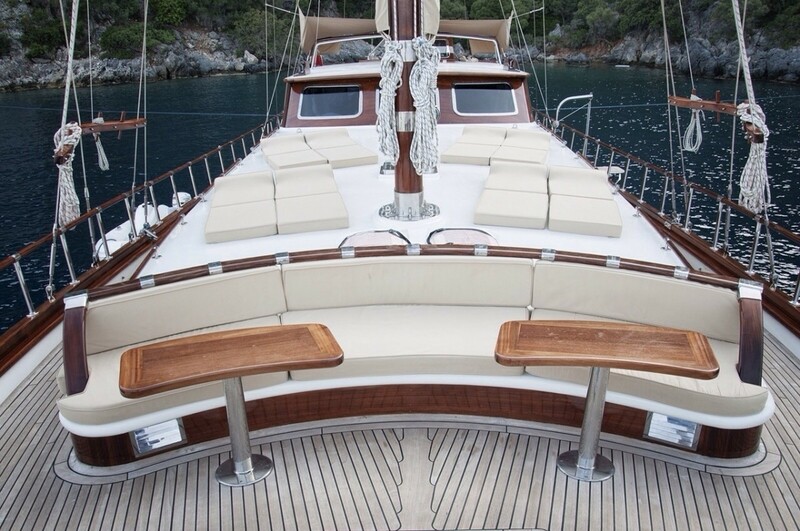 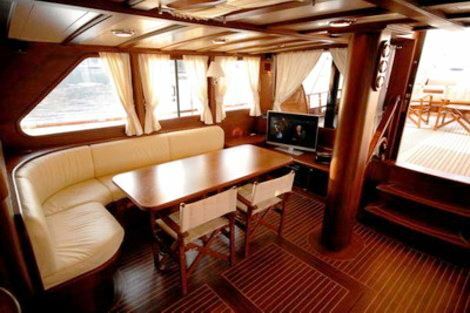 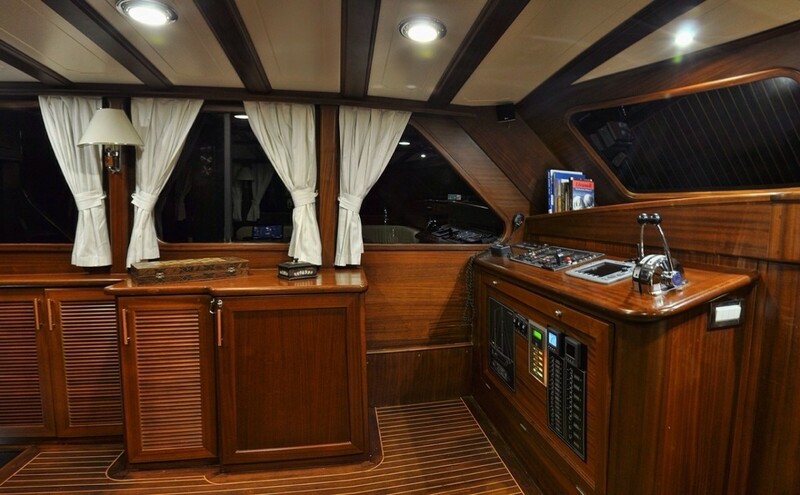 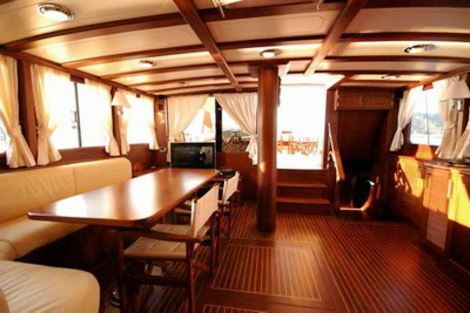 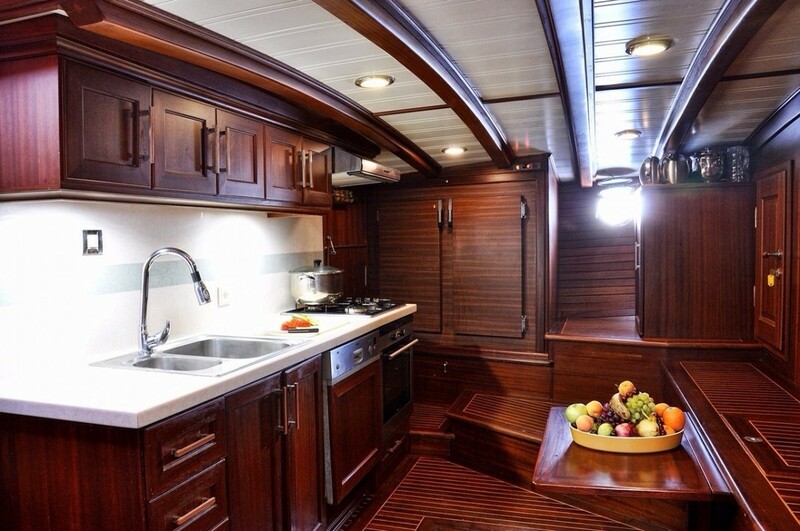 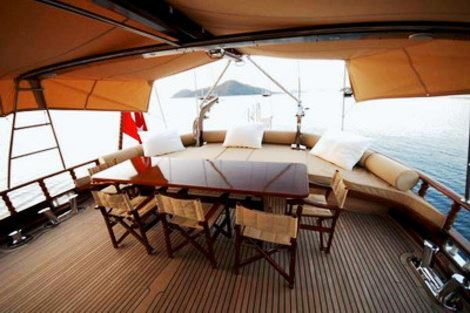 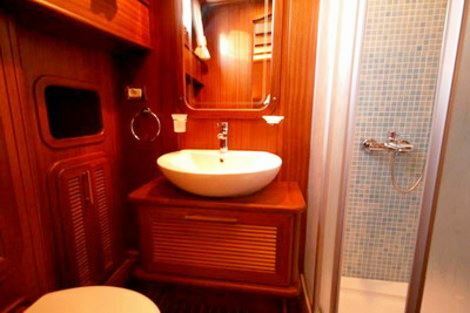 The fully air conditioned MIKADO sailing yacht can accommodate up to 8 guests in 4 en-suite cabins. 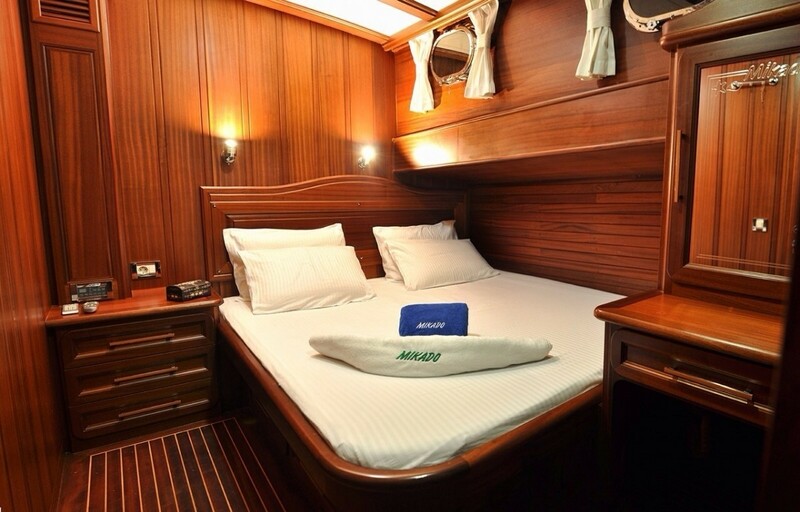 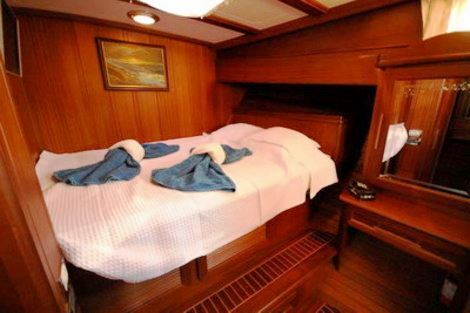 A master cabin boasts a queen size bed, two guest cabins offer double beds and a further cabin has twin beds. 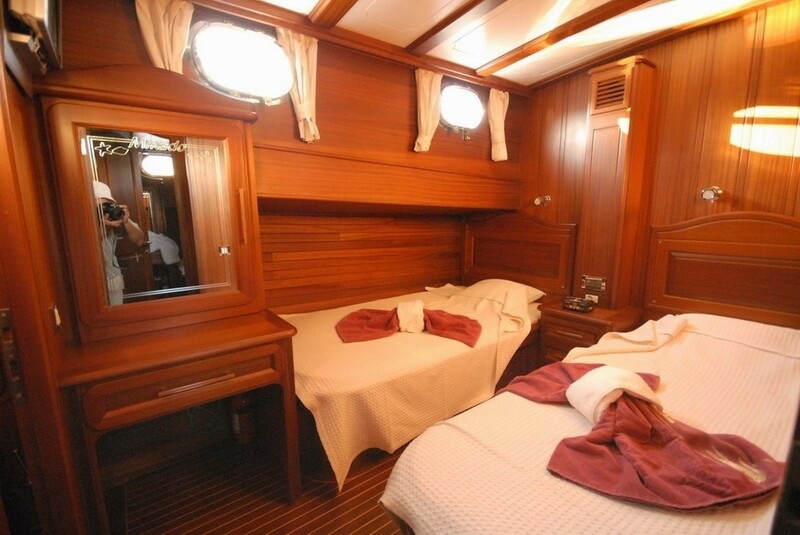 Each cabin is fitted with TV and music entertainment.